Literary competence. It may seem surprising to begin this section on requirements for historical interpretation with an emphasis on literary competence, but any who wish to include the OT among their sources for the history of ancient Israel or, for that matter, those who may wish to dismiss it, must at least recognize that competent literary reading of the OT with a view to discovering its truth claims (historical or otherwise) is a necessary first step…. By ‘literary competence’ I mean a developed awareness of the conventions and workings of a given literary corpus and a consequent ability to discern what kinds of claims a given text within that corpus may be making (cf. Barton, esp. 8–19; Baron, 93). When one is learning a foreign language, one studies the grammar of that language (i.e., the linguistic principles by which it communicates) so as to increase linguistic competence and the ability rightly to interpret individual utterances. By the same token, when one’s aim is to understand individual passages of a “foreign” literary corpus such as the OT (which originated at a time and place far removed from our own), it is immensely useful to learn what one can of the “grammar” of that literature (i.e., the literary principles by which it operates). …One of the best ways to improve one’s literary competence is to read as much of the literature under consideration as possible…. Theological comprehension. A second requirement for those who would interpret the OT historically is theological comprehension. Again, just as it may have seemed odd in the preceding section to highlight literary competence as a requirement for historical interpretation, so it may seem odd to stress theological comprehension as a requirement for those who would use the OT responsibly in historical reconstruction. But the fact is that in the narratives of the OT God is a central character, not only present behind the scenes but occasionally intervening directly in the action of the story—e.g., sending plagues, parting seas and rivers, destroying city walls, appearing in visions, throwing enemies into panic, protecting his people, speaking through his prophets, fulfilling their words, and so forth. In short, the God depicted in the OT is not only transcendent but is also immanent in human (historical) affairs. As G. B. Caird succinctly puts it, “the most important item in the framework within which the people of biblical times interpreted their history was the conviction that God was the Lord of history” (217–18; cf. Westermann, 210; Wolff). Historical criticism. The core story of the OT presents itself as a true story, and not just in the sense that it is “true to life.” The central events of the sweep of redemptive history are presented as real events that happened in the lives of real people (cf. Arnold, 99; Halpern, 1988; Licht, 212–16). Whatever artistic traits may be present in the narratives of the OT (and they are many), it remains the case that most of these narratives present themselves as more than just art for art’s sake. They present themselves not merely as realistic narratives but as referential narratives, as the verbal equivalent of portraits, not just generic paintings. Therefore, unless it can be demonstrated that this assessment of the character of the narratives is incorrect—and there are some who think so (e.g., Smelik, Thompson)—then any legitimate literary reading must take their historical truth claims seriously, whatever one may believe about the truth value of the claims. It is necessary to acknowledge the Bible’s historical truth claims not only for literary reasons, but for theological reasons as well. For “in point of fact, the Bible consistently presents theological truth as intrinsically bound to historical events” (Arnold, 99). The religious faith propagated in the OT is dependent not simply on some “story world” but on the real world about which the stories are told. As noted earlier, the God of the OT is the Lord of history, and his self-disclosure and salvific actions are accomplished in both event and word (see Long, 1994, 88–119). 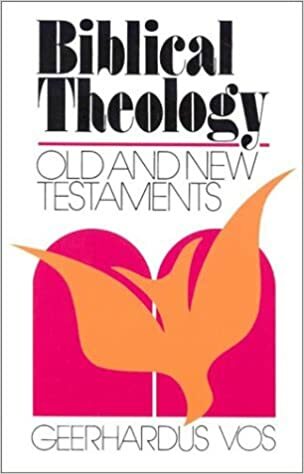 Willem VanGemeren, ed., New International Dictionary of Old Testament Theology & Exegesis (Grand Rapids, MI: Zondervan Publishing House, 1997), chapter 4. I have always been skeptical and uneasy about a fundamentalist method of interpreting Scripture. Although I have several other reasons for my unease, one worth mentioning is Kevin Vanhoozer’s helpful critique of the fundamentliast hermeneutic in Is There a Meaning in This Text? Below are a few excerpts. Though fundamentalists cry “back to the texts themselves!” In reality they tend to confuse the text with their way of reading it. “What it meant” becomes “what it means to us now.” Fundamentalism thus preaches the authority of the text but practices the authority of the interpretive community. Thus what appeared as one of the most conservative approaches to the text, fundamentalism, ironically turns out to have more in common with one of the most radical, for in privileging their own interpretive community, fundamentalists discover a strange bedfellow in Stanley Fish. The irony is acute and painful: while professing to stand under the Word, the fundamentalist is actually a User. …An insubordinate desire for objective certainty ultimately affects the way some read the Bible. A misplaced desire to honor “Holy Scripture” leads many fundamentalists to read the Bible as a book of true statements. The problem, in my opinion, is not so much their identification of The Bible with the Word of God as it is their theory of meaning and reference. A picture of meaning holds fundamentalists captive. This picture equates the meaning of a text with its referent, that is, with its empirical or historical correspondence. Is this is essentially modern theory of meaning and truth that generates literalistic interpretations and harmonizes where all parts of the Bible are read as though the primary intent were to state historical facts. Whereas Bultmann dehistoricizes historical material, fundamentalists may historicize unhistorical material.… Though the Bible contains propositions…it is much more than a collection of proof texts. Kevin Vanhoozer, Is There a Meaning in This Text? p. 425-426. Dennis Johnson has done some excellent work in the areas of Christ-centered preaching and Bible interpretation. 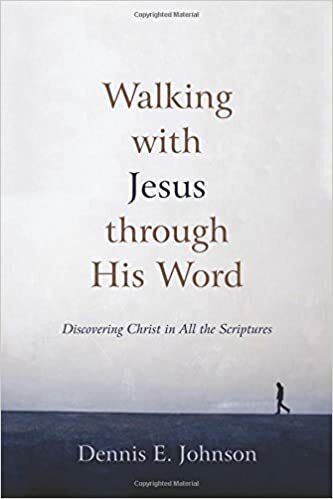 In one of his more recent books, Walking with Jesus through His Word (2015), he takes the time and space to explain how the central story line of Scripture is all about Jesus. In this book, Johnson basically teaches readers how to find Christ in Scripture by using Scripture itself – specifically Christ’s teaching. There’s more to it, but that’s a short summary. …Here is the first key to our seeing Christ in the entire Bible: We need him to open our minds, to ignite our hearts, to take away the foolishness and sluggishness and unbelief and low expectations with which we approach his holy written Word. Since we need Jesus to do this for us, one indispensable key to walking with Jesus through the pages of Scriptures is simply this: Pray! Face the sobering fact that, left to yourself, you will not ‘get’ what God designs to show you of his Son in his Word by your own research and ingenuity. Pray that as you read the Word, his Spirit will remove the veil of misunderstanding that keeps you from seeing Jesus’ ever-increasing glory (2 Cor. 2:14-18)…. I’ll come back and note more from this helpful book at a later time, God willing. For now, if you’re looking for a solid Reformed resource on Christ-centered Bible interpretation, I very much recommend this one: Dennis Johnson, Walking with Jesus through His Word (Phillipsburg: P&R, 2015), p.19-20. Some of our readers may remember how Luther and Calvin loved the Psalms and spoke of them often. Luther said that the Psalms were a mini Bible. Calvin said that all the emotions of the soul are found in the Psalter. In saying these things, neither Luther nor Calvin were being novel or cutting edge. Others in Christian history said similar things before them. Specifically, I’m thinking of Athanasius, the bishop of Alexandria in the 4th century. In a letter to Marcellinus bishop Athanasius gave an excellent interpretive discourse on the Psalter. There are many other excellent observations about the Psalms in Athanasius’ letter. I don’t have time or space to note them all here and now. But let me commend this letter to you. Although I have it in e-book form (thanks, Logos! ), you might be able to find it online or just get it from Amazon. It’s not overly long but it is quite profound and edifying. Find it, read it, then turn to the Psalms, where we find a treasure box containing Bible stories/truths, guidance for Christian living, and Jesus himself! 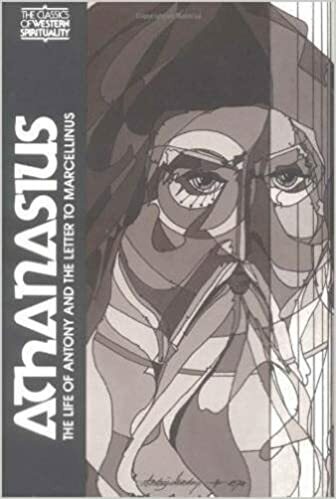 The above quotes are found in Athanasius of Alexandria, Athanasius: The Life of Antony and the Letter to Marcellinus, ed. Richard J. Payne, trans. Robert C. Gregg, The Classics of Western Spirituality (Mahwah, NJ: Paulist Press, 1980).